U.S. Treasury Secretary Mnuchin Admits No Trade Negotiations Currently Taking Place With China or Mexico! U.S. Treasury Secretary Mnuchin has confirmed the United States and China currently have no trade talks underway – President Trump even though he is threatening to unilaterally raise Tariffs on $200 billion of Chinese U.S. imports. Further, on Thursday Mnuchin admitted during a hearing before lawmakers in Washington. The Trump administration is gambling that China will be willing to make significant changes, "I would say to the extent that the Chinese want to make serious efforts to make structural changes, the administration and I are available any time to discuss those," "We are monitoring, and we will continue to do so," he said. Mnuchin also said that the renegotiation of the North American Free Trade Agreement was a big priority for the administration now that Mexico's recent presidential election had passed. 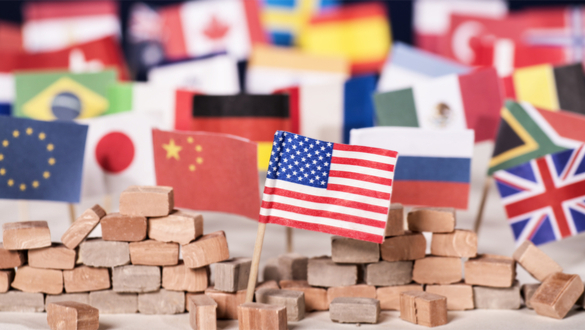 The United States, Canada, and Mexico had been negotiating to revamp the 24-year-old trade pact since last August, but talks have stalled over U.S. demands on autos and other issues. Mnuchin’s comments on Thursday indicate there are no negotiations underway.